If you’re going to do something really different you cannot have the word ‘impossible’ in your vernacular. 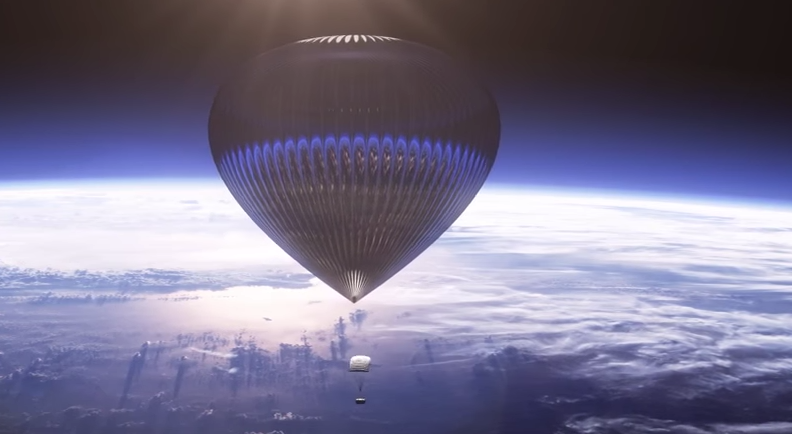 So what’s really kind of awesome about ballooning technology, it is so completely different from the way people have thought about accessing space before. There’s no noise, it’s completely silent and you’re using gravity. So what we’ve done is created this vehicle that can stay continuously over a location. How we do that is the magic. We have launch, all the instruments, the landing, all in the same vehicle. That’s completely revolutionary. And we can fly just about any instrument on it, whether it’s communications, weather instrumentation, cameras, any kind of device you can imagine. So in the years to come, we’re imagining that we can help millions, let’s think big, billions of people get online who currently can’t be online. We envision being able to transform the way we work with hurricanes and other severe storms so that we can actually get much better warnings of what’s happening with these storms than we currently have now so that people can get out of the way. Then we can even help the first responders with communications and eyes in the sky and do this all around the world. One of the seminal experiences was being viscerally part of my biosphere, in a very literal way. We drank the same water over and over again. We breathed the same oxygen over and over again. So we were very literally part of our biosphere. That gave us this incredibly powerful perspective of the planet that we live on. It’s very akin to the kind of experiences that astronauts have when they see the Earth from the blackness of space. We wanted to find a way to really give that to ourselves but also to everybody else. If we can take people to space I think it’s going to change many people’s idea about this planet that we live on. The idea that we are all on this same planet together, and then what are people going to do with that experience? In my mind, that’s the important part. Coming back from space and taking that experience and doing something great with it. Wow! How awesome that would be to be able to make that change in the world. As an active, full-service commercial launch provider, World View’s technology is already opening up new realms of possibility for commercial customers around the world. World View’s disruptive Stratollite flight platform enables previously unthinkable applications at a fraction of the cost of existing technology. Stratollites serve a variety of mission functions – from short duration research flights to long-duration flights over specific areas of interest – and serve a broad range of critical commercial needs and applications. In the near future, World View will leverage the development of its Stratollite technology to pioneer a different type of discovery – private space exploration. In due time, World View will offer an affordable, safe, and gentle way for humans to access near-space for an experience unlike any other.